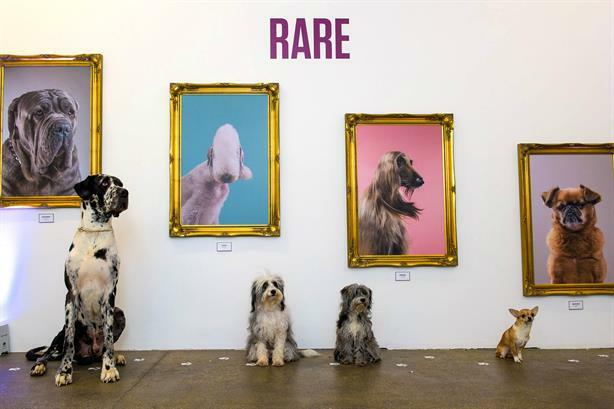 A pop-up gallery for canines - dubbed The National Paw-trait Gallery - has opened in London in a campaign for the new Facebook Watch competition series The World's Most Amazing Dog. The exhibition at the Protein Gallery in Shoreditch includes photographs of well-known dogs such as Laika, which was launched into space in Sputnik 2 in 1957, and Petra, the first Blue Peter dog. PR agency Hope&Glory devised the campaign. Under the World’s Most Amazing Dog completion, UK Facebook users can submit an audition video of their pet before 20 February to be in the running for a prize of £77,000, with $1 from every UK submission going to Battersea Dogs and Cats Home. The gallery opened on Thursday (7 February) and will remain open until 5pm on Saturday.